Sir Kenneth Charles "Ken" Branagh ( ; born 10 December 1960) is a Northern-Irish actor, director, producer, and screenwriter from Belfast, Northern Ireland. He has directed or starred in several film adaptations of William Shakespeare's plays, including Henry V (1989) (for which he was nominated for the Academy Awards for Best Actor and Best Director), Much Ado About Nothing (1993), Othello (1995), Hamlet (1996) (for which he was nominated for the Academy Award for Best Adapted Screenplay), Love's Labour's Lost (2000), and As You Like It (2006). He has also starred in numerous other films and television series including Fortunes of War (1987), Woody Allen's Celebrity (1998), Wild Wild West (1999), The Road to El Dorado (2000), Conspiracy (2001), Harry Potter and the Chamber of Secrets (2002), Warm Springs (2005), Valkyrie (2008), Wallander (2008–present), and My Week with Marilyn (2011) as Sir Laurence Olivier (Academy Award nomination for Best Supporting Actor). He has directed such notable films as Dead Again (1991) in which he also starred, Swan Song (1992) (Academy Award nominated for Best Live Action Short Film), Mary Shelley's Frankenstein (1994) in which he also starred, The Magic Flute (2006), Sleuth (2007), the blockbuster superhero film Thor (2011), the action thriller Jack Ryan: Shadow Recruit (2014) in which he also co-stars, and Cinderella (2015). He also narrated the BBC documentary miniseries' Walking with Dinosaurs (starred in 1999) (as well as The Ballad of Big Al), Walking with Beasts (2001) and Walking with Monsters (2005). Branagh has been nominated for five Academy Awards, five Golden Globes, and has won an Emmy and three BAFTAs. He was appointed a knight bachelor in the 2012 Birthday Honours and was knighted on 9 November 2012. Branagh, the middle of three children, was born and raised in Belfast, the son of working-class Protestant parents Frances (née Harper) and William Branagh, a plumber and joiner who ran a company that specialised in fitting partitions and suspended ceilings. At the age of nine, he relocated with his family to Reading, Berkshire, to escape the Troubles. He was educated at Grove Primary School, Whiteknights Primary School, then Meadway School, Tilehurst, where he appeared in school productions such as Toad of Toad Hall and Oh, What a Lovely War!. At school, he acquired an English accent to avoid bullying. On his identity today he has said, "I feel Irish. I don't think you can take Belfast out of the boy," and he attributes his "love of words" to his Irish heritage. He is known to have attended the (amateur) Reading Cine & Video Society (now called Reading Film & Video Makers) as a member and was a keen member of Progress Theatre for whom he is now the patron. Branagh went on to train at the Royal Academy of Dramatic Art. He received acclaim in the UK for his stage performances, first winning the 1982 SWET Award for Best Newcomer, for his role as Judd in Julian Mitchell's Another Country, immediately after leaving RADA. Branagh was part of the 'new wave’ of actors to emerge from the Academy. Others included Jonathan Pryce, Juliet Stevenson, Alan Rickman, Anton Lesser, Bruce Payne and Fiona Shaw. In 1984 he appeared in the Royal Shakespeare Company production of Henry V, directed by Adrian Noble. The production played to full houses, especially at the Barbican in London. It was this production that he adapted for the film version of the play in 1989. He and David Parfitt founded the Renaissance Theatre Company in 1987, following success with several productions on the London 'Fringe', including Branagh's full-scale production of Romeo and Juliet at the Lyric Studio, co-starring with Samantha Bond. The first major Renaissance production was Branagh's Christmas 1987 staging of Twelfth Night at Riverside Studios in Hammersmith, starring Richard Briers as Malvolio and Frances Barber as Viola, and with an original score by actor, musician and composer Patrick Doyle, who two years later was to compose the music for Branagh's film adaptation of Henry V. This Twelfth Night was later adapted for television. In July 2013 he co-directed Macbeth at Manchester International Festival with Rob Ashford. With Branagh in the title role, Alex Kingston played Lady Macbeth and Ray Fearon featured as Macduff. The final performance of the completely sold out run, was broadcast to cinemas on 20 July as part of National Theatre Live. He repeated his performance and directorial duties opposite Ashford and Kingston when the production moved to New York City's Park Avenue Armory in June 2014. The production marked his New York stage debut. In April 2015, Branagh announced his formation of Kenneth Branagh Theatre Company. With the company, he announced he will present a season of five shows at London's Garrick Theatre from October 2015 - November 2016. The shows will be The Winter's Tale, Harlequinade/All On Her Own (double bill), The Painkiller, Romeo and Juliet and The Entertainer. Branagh will direct all but the Entertainer, in which he will star. Branagh will also star in The Winter's Tale, Harlequinade and The Painkiller. Kenneth Branagh Theatre Company also includes Dame Judi Dench (The Winter's Tale), Zoë Wanamaker CBE (Harlequinade/All On Her Own), Sir Derek Jacobi, Lily James and Richard Madden (Romeo and Juliet) and Rob Brydon MBE (The Painkiller). Kenneth Branagh Season In September 2015 was announced that The Winter's Tale, Romeo and Juliet and The Entertainer will be broadcast in cinemas, in partnership with Picturehouse Entertainment. Branagh is known for his film adaptations of William Shakespeare, beginning with Henry V (1989), followed by Much Ado About Nothing (1993), Hamlet (1996), Love's Labour's Lost (2000) and As You Like It (2006). As You Like It premiered in theatres in Europe, but was sent directly to television in the U.S., where it aired on HBO in August 2007. He was rumored to have been under consideration for the role of Obi-Wan Kenobi in the Star Wars prequel trilogy. Notable non-Shakespeare films in which Branagh has appeared include Dead Again (1991) and Mary Shelley's Frankenstein (1994), both of which he also directed, Wild Wild West (1999), Rabbit-Proof Fence (2002) and Valkyrie (2008). He starred as Gilderoy Lockhart in Harry Potter and the Chamber of Secrets (2002). He also played the Minister, Dormandy (a parody of PMG Tony Benn), in the film The Boat That Rocked (2009). 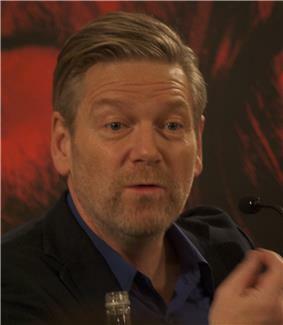 From 1989 to 1996, Branagh mostly directed his own films, including Peter's Friends with an outstanding cast including former schoolmates Emma Thompson, Hugh Laurie, Tony Slattery and Stephen Fry, as well as Imelda Staunton and Rita Rudner; but the commercial and critical failure of Love's Labour's Lost ended his directorial career for a time. In 2006, the same year that Branagh's film version of As You Like It was released, he also directed a film version of Mozart's opera The Magic Flute, which has yet to be released in the U.S., where it has not even been shown on cable television or released on a Region 1 DVD. Branagh has also directed the thriller Sleuth (2007), a remake of the 1972 film. At a film promotion for Valkyrie in 2008, Branagh confirmed that he would be directing Thor, a film based on the Marvel superhero. Thor, Branagh's return to big-budget directing, was released on 6 May 2011. In 2011, Branagh portrayed Sir Laurence Olivier in My Week with Marilyn. Branagh directed Disney's live-action version of Cinderella (2015). Branagh has also been involved in several made-for-TV films. Among his most acclaimed portrayals is that of US President Franklin D. Roosevelt in the film Warm Springs (2005), for which he received an Emmy Award nomination. Though the film received 16 Emmy nominations, winning five (including Best Made-For-Television Film), Branagh did not win the award for his portrayal. He did, though, receive an Emmy for his portrayal of SS leader Reinhard Heydrich in the TV film Conspiracy (2001), a depiction of the Wannsee Conference, where Nazi officials decided on the Final Solution. In 2002 Branagh starred in the two-part television movie Shackleton, a dramatization of the 1914 Imperial Trans-Antarctic Expedition's battle for survival, for which he was nominated for a BAFTA award and an Emmy. In 1998 he narrated the twenty-four episode documentary series Cold War. Branagh also narrated the BBC documentaries Walking with Dinosaurs, World War 1 in Colour, Walking with Beasts and Walking with Monsters, and the BBC miniseries Great Composers. Branagh is the star of the English-language Wallander television series, adaptations of Henning Mankell's best-selling Wallander crime novels. Branagh plays the eponymous Inspector Kurt Wallander and also serves as the executive producer of the series. The first series of three episodes were broadcast on BBC One in November and December 2008. 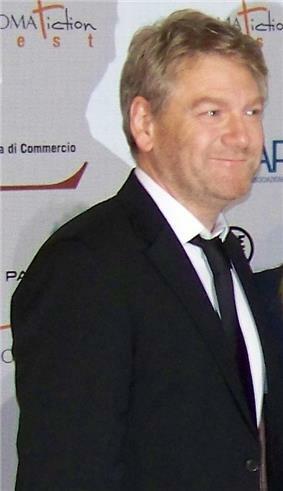 Branagh won the award for best actor at the 35th Broadcasting Press Guild Television and Radio Awards (2009). It was his first major television award win in the UK. He received his first BAFTA TV on 26 April 2009 for the British Academy Television Award for Best Drama Series. For his performance in the episode One Step Behind, he was nominated in the Outstanding Actor, Miniseries or Movie category of the 61st Primetime Emmy Awards. The role also gained him a nomination for Best Actor at the 2009 Crime Thriller Awards. The second Wallander series of three episodes aired initially in January 2010 on the BBC, and the third season aired in July 2012. Branagh has also played the title role in BBC radio broadcasts of Hamlet and Cyrano de Bergerac, and the role of Edmund in King Lear. Branagh participated in the 2012 Summer Olympics Opening Ceremony portraying Isambard Kingdom Brunel during the Industrial Revolution segment, giving the speech from The Tempest originally read by the character Caliban. From 1989 to 1995, Branagh was married to actress Emma Thompson, with whom he starred in Fortunes of War among other projects. During their marriage, and while directing and co-starring with Helena Bonham Carter in Mary Shelley's Frankenstein, he began an affair with her. After Thompson divorced him, he and Bonham-Carter were in a well-publicised relationship for several years. In 2003, he married film art director Lindsay Brunnock, whom he met during the shooting of Shackleton. His distant relative Glenn Branagh, who was a UYM member, died in 2001 while attempting to throw a pipe bomb at police. He is a fan of English football club Tottenham Hotspur and Scottish football club Rangers F.C. Branagh is a Christian and has spoken about how he 'became more religious' listening to Laurence Olivier's reading of the Bible. Branagh has been nominated for five Academy Awards, the first man to be nominated for five different categories. His first two nominations were for Henry V (one each for directing and acting). He also received similar BAFTA Award nominations for his film work, winning one for his direction. His first BAFTA TV award came in April 2009, for Best Drama Series (Wallander). Branagh's two other Academy Award nominations were for the 1992 film short subject Swan Song and for his work on the screenplay of Hamlet in 1996. His most recent is for his portrayal of Lord Laurence Olivier in My Week With Marilyn. Branagh has co-starred several times with actress Emma Thompson, to whom he was married from 1989 to 1995. They appeared together in Look Back in Anger, Henry V, Much Ado About Nothing, Dead Again, and Peter's Friends. More recently, they both appeared in The Boat That Rocked, though with no shared scenes. In 1994, Branagh declined an appointment as a Commander of the Order of the British Empire (CBE). Alongside John Huston and John Cassavetes. In October 2015, it was announced that Branagh would be the new President of the Royal Academy of Dramatic Art, succeeding the late The Lord Attenborough. Branagh frequently collaborates with certain actors on multiple films, most notably Brian Blessed, the late Richard Briers, Patrick Doyle, Derek Jacobi, Emma Thompson, and Jimmy Yuill. 1Although Doyle has composed music for many of Branagh's films, he is listed in the above table for his appearances as an actor. 2Although Yuill has also composed music for multiple Branagh films, he is listed in the above table for his appearances as an actor. ^ a b c "Birthday Honours: Branagh, Winslet and royal designer Burton on list". ^ "Kenneth Branagh Biography". Tiscali.co.uk. Retrieved 7 March 2010. ^ "KENNETH BRANAGH ARCHIVE" (PDF). Queen's University Belfast. ^ "Kenneth Branagh - Biography". Talktalk.co.uk. Retrieved 24 August 2012. ^ 'The Times'', 20 February 2000"'". Members.tripod.com. Retrieved 7 March 2010. ^ Staff writer (18 September 2008). "Rave reviews for Kenneth Branagh's West End return", inthenews.co.uk. Retrieved on 18 September 2008. ^ "Kenneth Branagh and Alex Kingston MACBETH Directed by Rob Ashford and Kenneth Branagh". Mif.co.uk. Retrieved 2014-08-06. ^ Porteous, Jacob (September 11, 2015). "Live Cinema Broadcasts And A First Look At Judi Dench In The Winter's Tale". London Theatre Direct. Retrieved September 21, 2015. ^ "EXCLUSIVE: Kenneth Branagh Breaks Silence On ‘Thor,’ Says Casting Talk Is Premature". Splashpage.mtv.com. Retrieved 7 March 2010. ^ "Thor Movie: Principal Photography Starts!". ^ "Disney Negotiating With Kenneth Branagh to Direct Cinderella". ^ "Television Awards Nominations 2009". British Academy of Film and Television Arts. Retrieved on 24 March 2009. ^ Allen, Kate (7 September 2009). "Coben, Cole, Atkinson vie for crime awards". The Bookseller. Retrieved 7 September 2009. ^ "BBC One - Wallander, Series 3". BBC. 22 July 2012. Retrieved 15 March 2013. ^ "Shakespeare on Audio". Watershade.net. Retrieved 2014-08-06. ^ "Kenneth Branagh Biography". Tiscali UK. Retrieved 17 January 2007. ^ "Kenneth Branagh on Tottenham Hotspur | Film | The Observer". Theguardian.com. Retrieved 2014-08-06. ^ "606 - - A62848155 - Kenneth Branagh and Famous Fans". BBC. 2010-02-05. Retrieved 2014-08-06. ^ "No Sir! Stars who refused honors". CNN. 21 December 2003. Retrieved 7 March 2010. ^ Lyman, Eric J. (12 June 2009). "Rome fest to honor Kenneth Branagh". The Hollywood Reporter (Nielsen Business Media). Archived from the original on 9 January 2014. Retrieved 27 September 2015. ^ The London Gazette: (Supplement) no. 60173. p. 1. 16 June 2012. ^ Furness, Hannah (2015-10-03). "Sir Kenneth Branagh made president of RADA to upstage the posh brigade". The Daily Telegraph. Retrieved 2015-10-03.